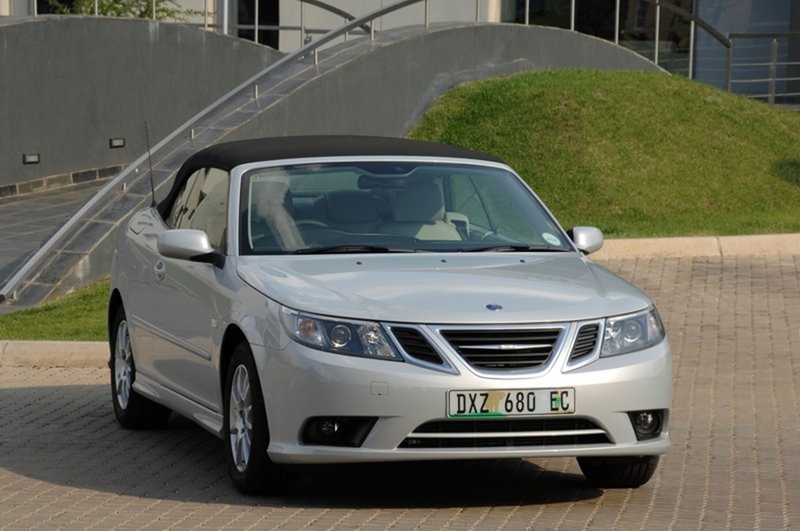 The Saab 9-3 platform provides an ideal base for Saab to consolidate its position in the premium convertible market segment with the Saab 9-3 Convertible. This model builds on Saab’s more than 20 years’ experience in designing 4-seater, all season soft tops with the 9-3 Convertible as practical as it is stylish. It embodies the ethos that an open-top car should be more than a convertible and offer functional all year round transport. A priority for the Saab 9-3 chassis development was to achieve best in class handling characteristics. To this end a four-link rear suspension layout, with toe-links and inboard and outboard ball joints, in place of rubber bushes, has been adopted. This has allowed engineers to dial in a unique passive rear wheel characteristic – Saab ReAxs. The ReAxs system overcomes the ‘crabbing’ effect often experienced when cornering, helping the tail of the car follow the direction of the front wheels, rather than the direction of the nose. When cornering, the elasto-kinematics at the rear axle induce a very slight deflection of both rear wheels in the opposite direction to the steering input, that is toe-out for the outer wheel and toe-in for the inner wheel. 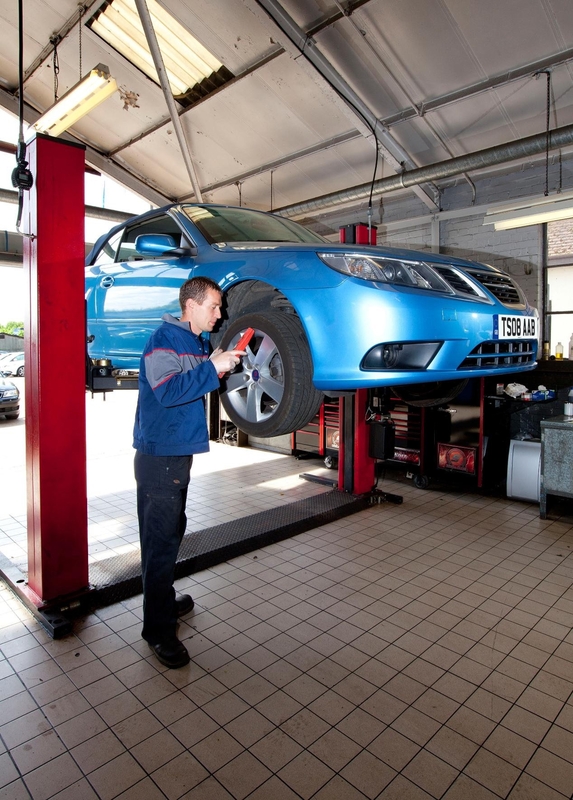 This ensures improved balance, more positive turn-in and a better response to steering inputs. Steering feel and precision is improved by the low mounting position of the steering rack which features progressive power assistance and fast response. Chassis electronic systems include a Saab tuned ‘user friendly’ Electronic Stability Programme (ESP), Electronic Brake force Distribution (EBD), Cornering Brake Control (CBC), and Traction Control System (TCS). The 9-3 Convertible shares its strong sporty character and design cues as well as its excellent driving dynamics with the 9-3 Sport Sedan and the 9-3 SportCombi that complement the convertible flagship in the range. Structural integrity and high torsional rigidity – despite the lack of a fixed roof – place the Saab 9-3 Convertible at the top of its class when it comes to body strength. A unique safety characteristic is Saab’s DynaCage rollover protection that incorporates pop-up rear roll hoops, strenghthened ‘A’ pillars, side sills, and seat-belt pre-tensioners. The front seat-belts are integrated with the front seat frames for optimised seat-belt geometry regardless of the seat position for greater comfort and effectiveness. Adaptive front airbags are fitted on the Convertible. These offer enhanced, occupant friendly deployment taking into account the severity of the impact, seat position, and the status and usage of the seat-belts. An important part of the Saab heritage revolves around designing cars that are aesthetically pleasing but also focused on providing a high level of driving satisfaction. To this end the Saab 9-3 design team applied the design principle of ‘from the driver outward’ as they laid out the design. A cockpit feel – the main instrument panel arcs around the driver and has a logical layout for superb ergonomics. The steering wheel adjusts for both reach and tilt. Profiler customisation – a wide range of functions can be pre-set according to personal preference, including auto climate control. ComSense functionality – minimises the potential for driver distraction through ‘dynamic workload management’. Dual-zone automatic climate control – fitted as standard for driver and passenger comfort. ComSense is the Saab solution for minimising driver distraction by providing a ‘dynamic workload manager’ that enables the brief suppression of dashboard warnings, or the interception of an incoming call where a mobile phone is connected to the system, when an intensified moment of driver workload is detected. Examples would be when the system detects that the turn indicators are being operated or a heavy braking condition that would require focused attention from the driver. Steering wheel controls for the audio system and a mobile phone connected to the system (the vehicle is pre-wired for this), as well as voice activation programmes are seen as a way to keep the driver’s attention focused on the road. The infotainment system fitted to the new Saab 9-3 is one of the most powerful systems yet installed in a series production car. Fibre optics are utilised to provide a high-speed interface for advanced infotainment functions as an effective base for an integrated entertainment, information, and communications hub. 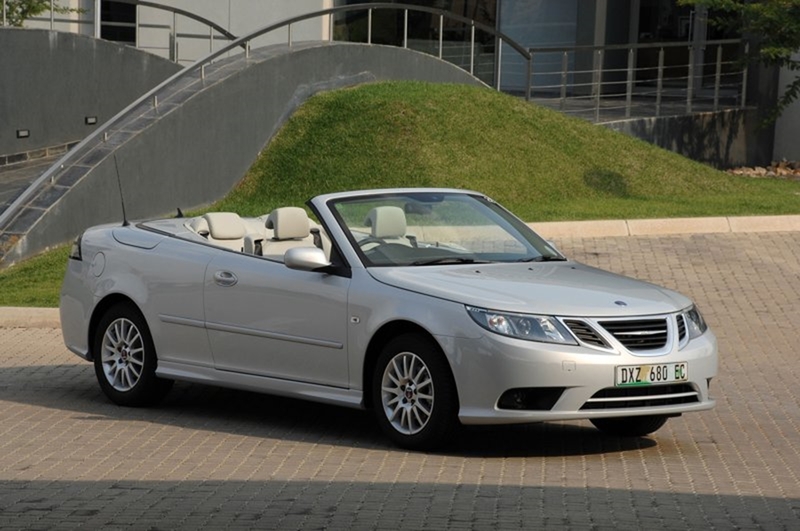 In an extension of the ‘from the driver outward’ design theme emphasis has been placed on the styling of the Saab 9-3 Convertible to integrate the rear passenger area relative to the vehicle’s 2-door configuration. A new design feature, not seen on a convertible before, is a distinctive surround trim marking the transition zone between the car’s exterior and interior. This ‘U’ shaped section extends rearwards from the base of each ‘A’ pillar and incorporates slim lines along the top of the doors, rear side trims, and the tonneau cover. This line is colour matched to the exterior and integrates the front and rear passenger areas. 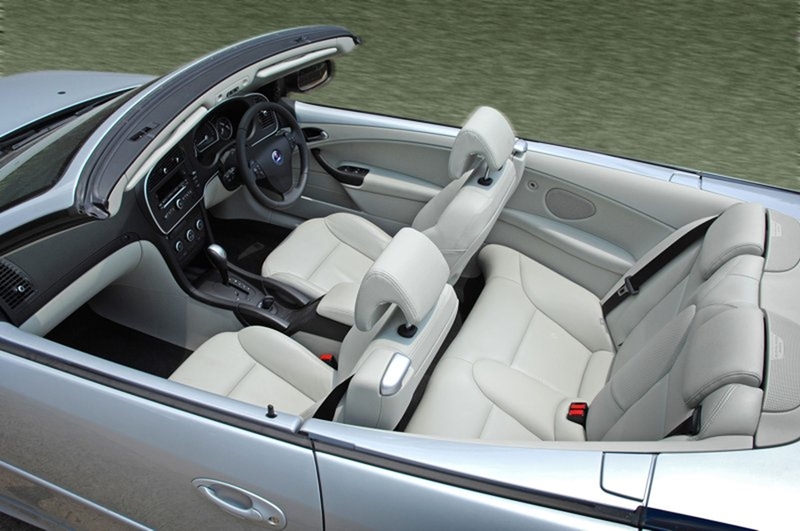 A first for the Saab 9-3 Convertible is its light coloured headlining with a virtually seamless fit that makes it almost indistinguishable from a fixed top interior headlining. A feature that enhances all season adaptability is an integrated rain gutter sewn into the side of the soft-top fabric. The top itself is hydraulically actuated and it takes just 20 seconds to transform the 9-3 Convertible from sleek roof-up coupe to roof-down roadster.